In this post, we answer your burning questions about this Christmas meal centerpiece, plus give you all of our secrets in our easy garlic & herb prime rib recipe. 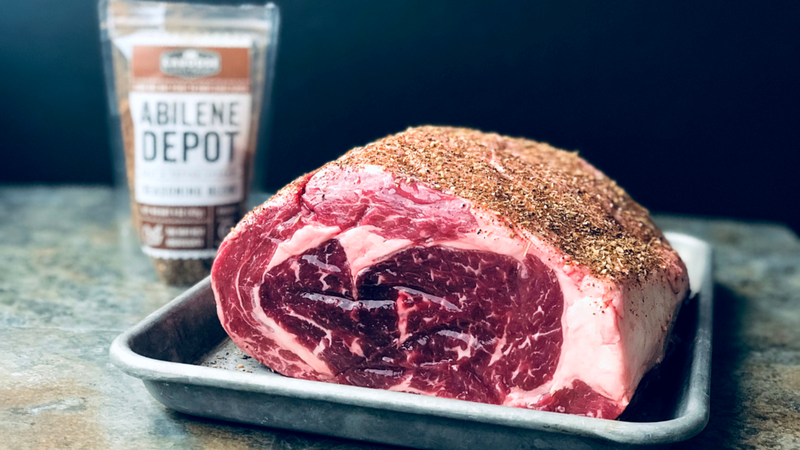 This prime rib roast is seasoned with our Abilene Depot Salt & Pepper Upgrade Seasoning Blend, slathered with delicious garlic herb butter, wood fire roasted, and finished with a brown butter sauce. Friends and family will be making reservations for Christmas dinner at your house for years to come! Everyone knows a great prime rib starts with plenty of good ol’ salt & pepper. But why use salt & pepper when you can have a salt & pepper upgrade? Smoked salt, butcher block black pepper, garlic, fennel, and a hint of cocoa will take your holiday prime rib to the next level with layers of complex flavor. Want to find out? What’s a prime rib roast? Prime rib is also known as the standing rib roast, which may contain from two to seven ribs. An alternative cut removes the ribs for easier carving. Regardless, it’s a tender, delicious cut of meat. Traditionally, the outside of the roast is rubbed with salt and seasonings and slow-roasted with dry heat to medium rare (135°F) or medium (145°F). We purchased our delicious prime rib roast from H&M Meats and Catering, a local family-owned butcher in Nampa, Idaho. Local butchers are a great resource if you have questions about the cut, and they can custom cut your roast. And it’s always great to #shopsmall! We recommend heading to your local butcher or meat shop to purchase your prime rib. They are very knowledgeable and they can help you get the perfect size roast for your family. We purchased our roast from the nice people at H&M Meats and Catering in Nampa, Idaho. Should I buy a bone-in prime rib roast or a boneless roast? Both are delicious! A bone-in roast makes a beautiful presentation, and may be a bit juicier. A boneless roast is easier to carve, easier to find, and cooks a bit faster. Our recipe uses a boneless roast, and it was amazing. It’s all based on personal preference. How prime rib should I buy? If you’re buying a bone-in roast, plan on 1 pound per person. Each “bone” serves 2-3 people, so a two-bone roast will serve 4-6 people. If you’re buying a boneless roast, plan on 1/2 pound per person. Because prime rib is so delicious and flavorful to start with, you can simply season it all over with salt and pepper. However, we believe in taking flavor to the next level (we own a seasoning company, after all!) so we seasoned our roast with Caboose Abilene Depot Salt & Pepper Upgrade Seasoning Blend, and slathered it with a delicious garlic & herb butter. As the prime rib slow roasted, a pan below the roast caught all of the delicious drippings which forms the base of our decadent brown butter sauce. Should I smoke my prime rib, or roast it in the oven? Again, we’re huge fans of complex flavor, so we love to roast our prime rib on our Traeger wood pellet grill, which gives it a subtle smoky flavor. However, our recipe works just as well in your home oven. How can I make sure not to overcook my prime rib? What sides should I serve with my prime rib? Traditional sides include garlic mashed potatoes and green beans. We served our prime rib with roasted brussels sprouts and multi-colored fingerling potatoes. The Spruce Eats has put together a really great list of sides here. What sauces or garnishes go well with prime rib? Prime rib is traditionally served with horseradish and au jus sauce. Our recipe breaks a bit from this tradition: we serve it with a decadent brown butter sauce. How can I use prime rib leftovers? The possibilities are endless! You can go with prime rib dip sandwiches, or get fancy with Faux Pho or a Peruvian Quinoa Bowl. Check out this list of 11 leftover recipes for prime rib over at Fine Cooking. But we’re guessing you won’t have many leftovers with this recipe! If you can, shop with your local butcher and ask them to cut the roast to order. This is a 7-lb prime rib roast. The night before you cook, season with Abilene Depot Salt & Pepper Upgrade Seasoning Blend. Place unwrapped in the refrigerator. After we smear it all over with garlic + herb butter, we’ll smoke the prime rib at 225°F for a couple of hours. An aluminum pan catches the butter for our browned butter sauce. After a quick sear, slice the prime rib and serve with browned butter. Here’s what we used. We’ve included convenient links to Amazon products (the exact products we use at home.) We may earn a small commission if you make a purchase through these links. What does this mean? Learn more here. Season the roast liberally with Caboose Spice & Company Abilene Depot Salt & Pepper Upgrade Seasoning Blend, coating all sides. 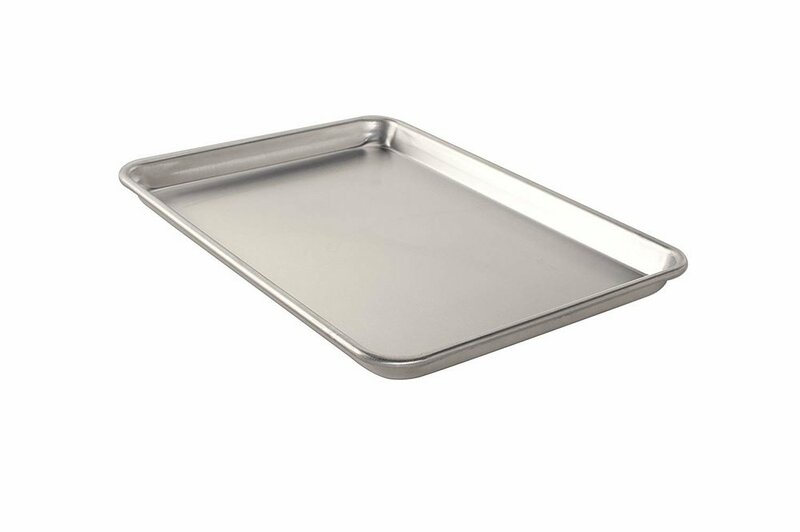 Place roast on a baking sheet covered in parchment paper, unwrapped, in the fridge overnight. Preheat your Traeger grill or oven to 225°F. 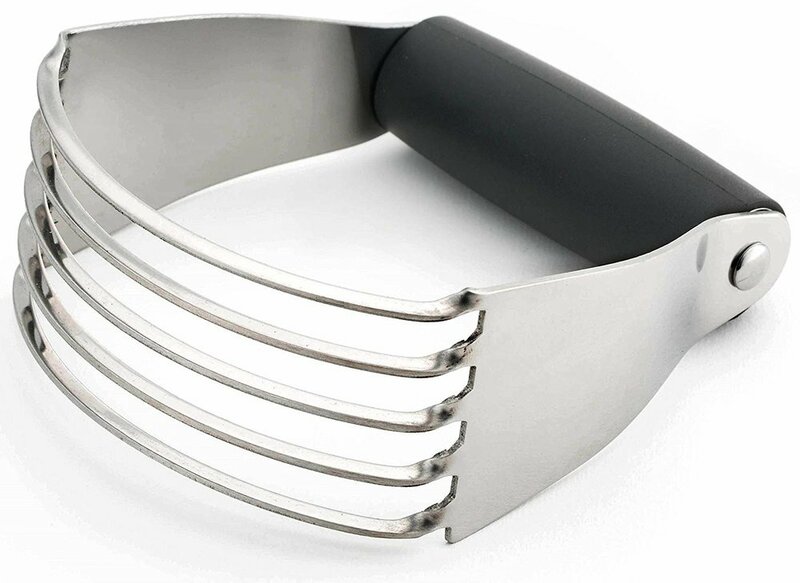 Combine butter, garlic, and herbs in a small bowl with a fork or pastry blender. Rub butter mixture all over prime rib roast. Insert thermometer probe in the center of the thickest part of the roast, not touching bone. 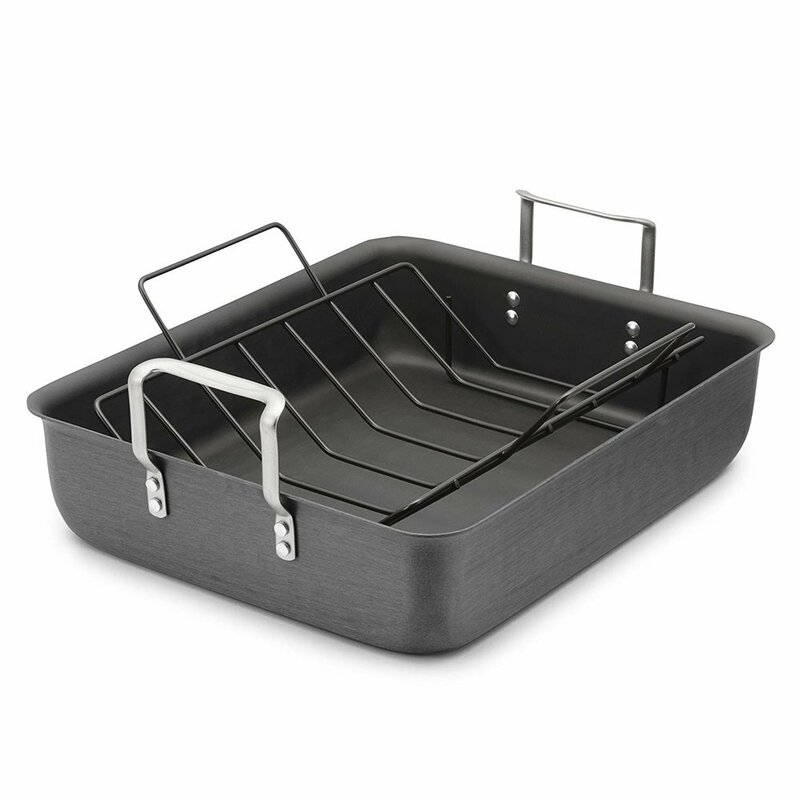 Place an empty aluminum roasting pan beneath the grill grate. This will catch all of the lovely drippings from the roast, browning them and providing a base for some delicious au jus. If you’re roasting your prime rib in the oven, you can use a rack inside the pan. Place the roast with temperature probe directly on the grill grate (or rack). Roast until the internal temperature reaches 115°F. Meanwhile, strain the browned butter from the aluminum pan through a sieve. Discard the solid bits. Season the browned butter to taste with approximately 1/4 teaspoon of Abilene Depot. Slice the prime rib roast and serve with brown butter drizzled over each slice. Serve with horseradish, roasted fingerling potatoes, and brussels sprouts; or serve with your favorite side. Don’t want to drop $$$ on prime rib for Christmas dinner? Try our “poor man’s prime rib” instead. Don’t want to spring for that expensive cut of prime rib? Learn how to get tender, medium rare meat that will fool anyone by cooking a chuck roast sous vide style.